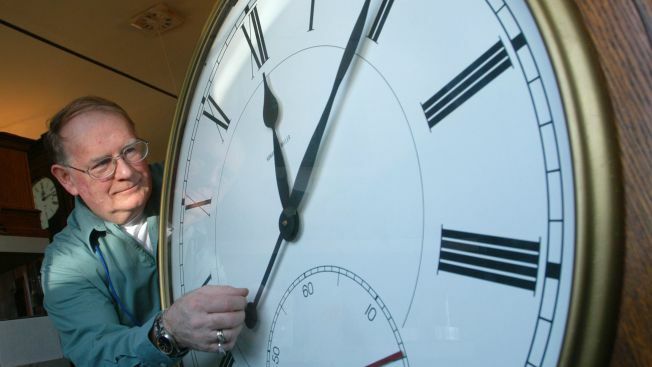 Daylight saving time begun at 2 a.m. ET on Sunday, March 8, so don’t forget to turn your clock forward an hour. Yes, that means you'll lose an hour of your weekend shut-eye. But the change will also result in some extra sunlight into the evening as spring approaches. In observance of daylight saving time, here are some things you may not have known about this event. Switching in and out of daylight saving can disturb people’s sleeping routines, making them more restless at night, according to U.S. News and World Report. However, morning people tend to be less bothered by the changes. Studies have shown that during the first week of daylight saving time, a spike in heart attacks takes place. Some experts suggest, according to the report, that the loss of an hour’s rest may make people more vulnerable to an attack. Nonetheless, when people get an extra hour in the fall, the incidents of heart attacks are less than usual. Don't depend on your phone to automatically switch the time. In 2013, iPhone customers experienced a daylight saving time bug. Some users saw two different times displayed on their calendar app, which was apparently caused by a change that moved daylight saving time back a week in 2007. In 2010, iPhones had another problem in which the phones did not correctly change alarm schedules when daylight saving time ended, causing some European iPhone users to wake up late for work, while Australians were woken up early. Hawaii and Arizona, along with U.S. territories Puerto Rico, Guam, American Samoa and the Virgin Islands did not turn forward their clocks last spring. Utah wants to get rid of the time switch, too. More than 40 percent of respondents to a November 2014 Rasmussen Reports poll said they saw no need for the clock changes. The notion of daylight saving time was introduced by none other than one our founding fathers, Benjamin Franklin, according to NASA. The idea was to take advantage of daylight hours by moving the clock backward in the fall and forward in the spring. Daylight saving time has been used throughout most of the U.S., Canada and Europe since World War I, but it wasn’t until 1966 that President Lyndon B. Johnson decided to implement a law stating that daylight saving time would begin the last Sunday of April and end on the last Sunday of October every year. The law allows some states to opt-out. In 2005, President George W. Bush extended the daylight saving time for an extra four weeks through an energy bill policy. Since 2007, Daylight Saving Time begins on the second Sunday of March and ends on the first Sunday of November.